And the winner is... STEVE PASSFIELD !! 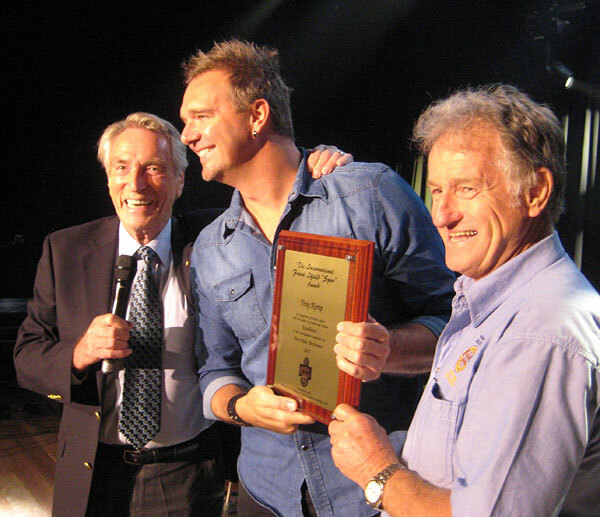 Canterbury Country presented their annual 'AWARD WINNERS SHOW' at Canterbury-Hurlstone Park RSL in Sydney. 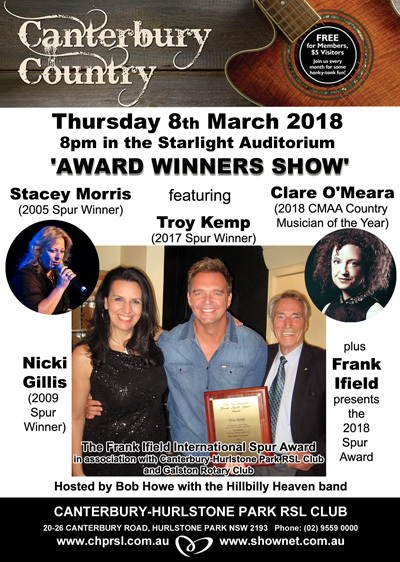 The show featured DONNA BOYD (2003 Spur Winner), NICKI GILLIS (2009 Spur Winner), and JOHN STEPHAN (2011 Spur Winner) and surprise guest DAN MULLINS. 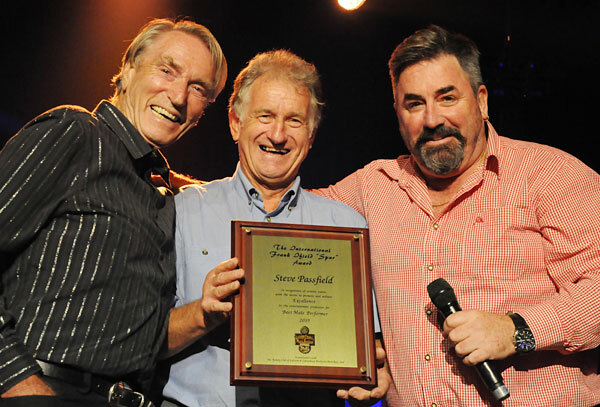 During the concert FRANK IFIELD and RICHARD YOUNG (from Galston Rotary Club) presented the 21st Annual Frank Ifield International Spur Award (in association with Galston Rotary Club and Canterbury-Hurlstone Park RSL Club) to STEVE PASSFIELD. 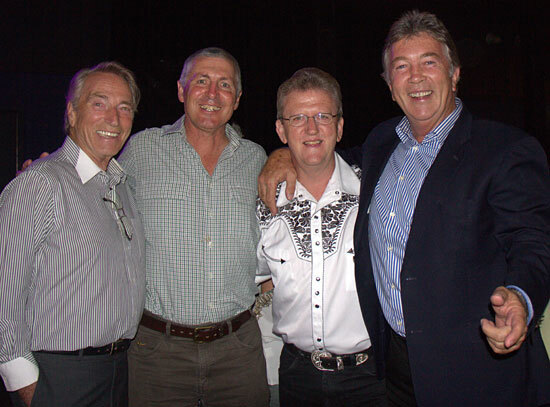 Kenny, Clare, George & Greg). 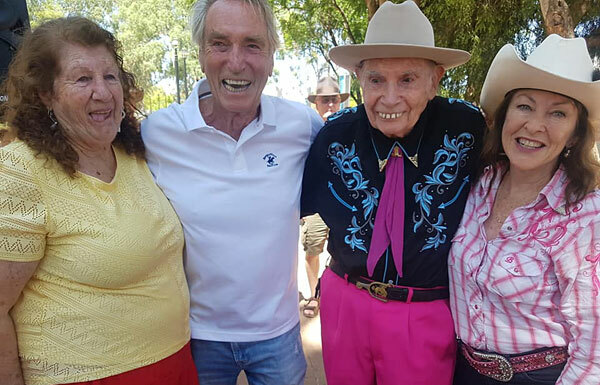 Frank was delighted to enjoy Australia Day 2019 with the Balranald Shire Council. 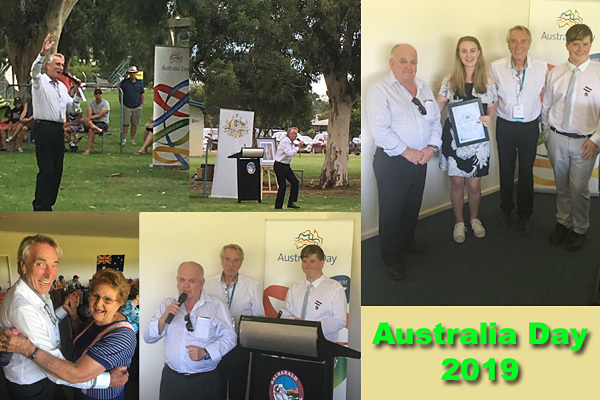 Both Balranald and Euston celebrated with a Flag Raising, Australia Day address by Ambassador Mr Frank Ifield, the Affirmation Ceremony and Presentation of Australia Day Awards. 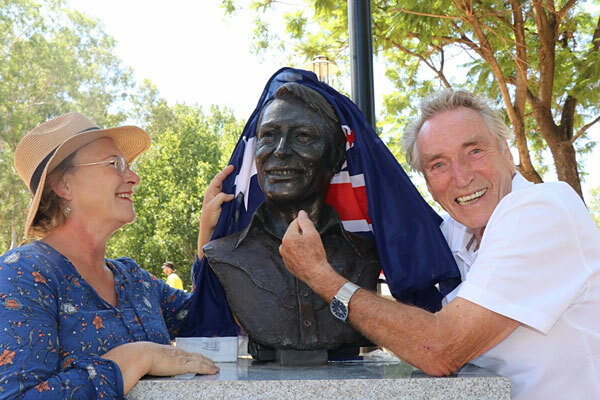 18th January 2019 in Bicentennial Park, Tamworth, a bronze bust of Australian country music pioneer Frank Ifield was unveiled. The sculpure can be found in the renamed Country Music Capital's Pioneers Parade in the park, along with busts of several other legends. 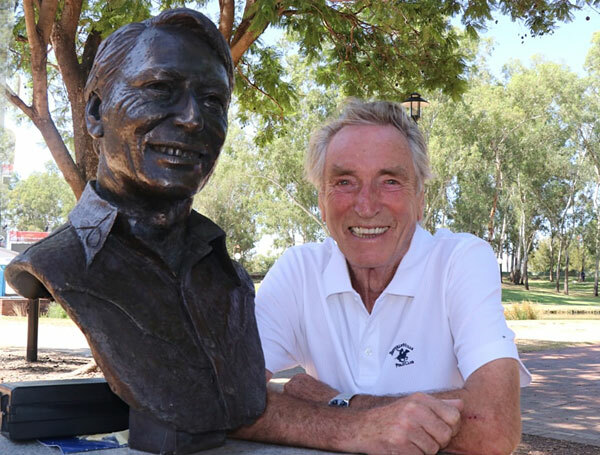 Frank with the newly unveiled bust. 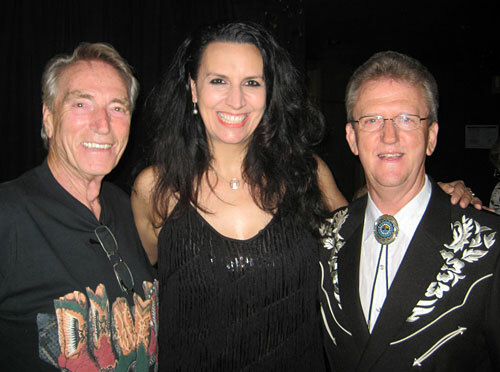 ...with Organiser/Fundraiser Lorraine Pfitzner, Chad Morgan who performed at the unveiling, and Singer/Fundraiser Dianne Lindsay. The plaque below the bust. 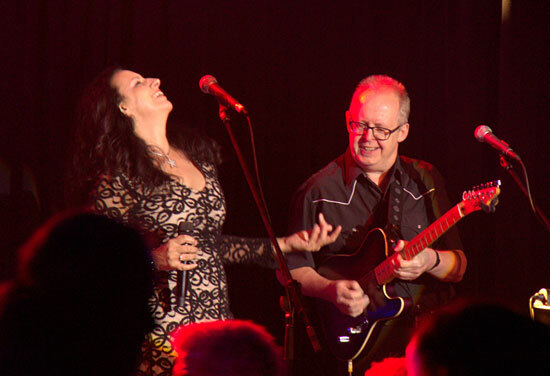 Photos, with thanks to Sharon Ifield and Dianne Lindsay. 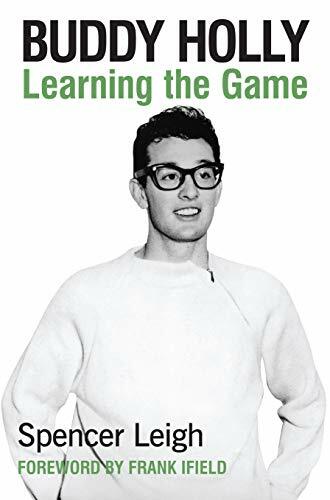 This book on Buddy Holly published by McNidder& Grace is the latest by the well-known English author and BBC broadcaster Spencer Leigh who has written many music biographies including Simon & Garfunkel, Elvis Presley, The Beatles and Frank Sinatra. 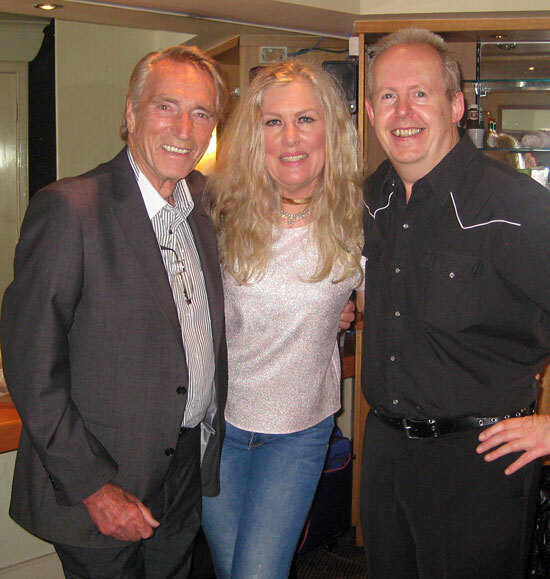 While on my 2018 UK tour, Spencer and I got together in Liverpool where he, knowing I had actually met Buddy Holly, asked me to do the foreword to this book. This was an honour to be able to relate the story of our historical meeting. The book is available in both Paperback and Kindle formats via Amazon in the U.S.A.
and in Paperback via Amazon in the U.K. 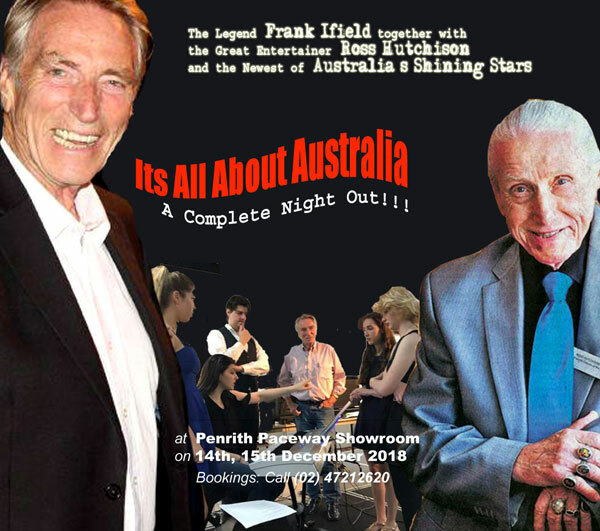 The legendary FRANK IFIELD together with the great entertainer ROSS HUTCHINSON and the newest of Australia's shining stars. 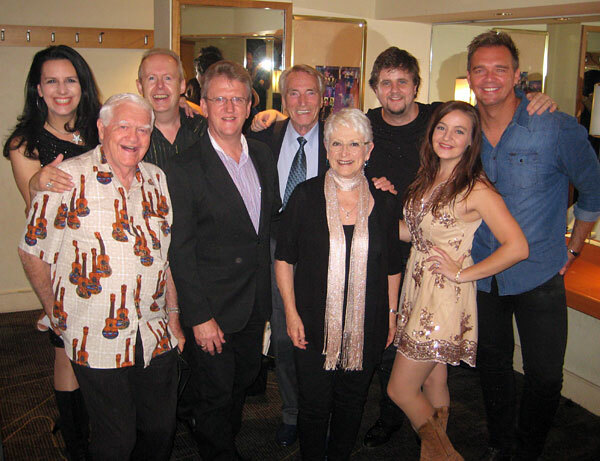 'It's All About Australia' - A Complete Night Out! 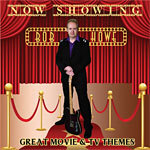 Currently spinning in Frank's CD player is the latest offering from his friend and Musical Director BOB HOWE. It is a collection of 21 instrumentals and 3 songs that are either themes or tunes closely connected with Movies and TV shows. Everything from Exodus to Midnight Cowboy to Local Hero and highly recommended by Frank! 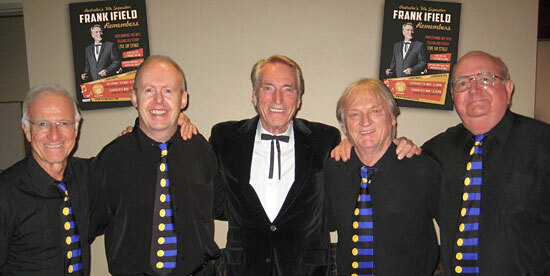 * 'Spills The Beans' are exclusive dinners where Frank tells stories he can't tell on stage! More details will be published as they come to hand. NB: All dates are correct at the time of publishing, but subject to change. TV & Radio Broadcaster Susie Elelman will be hosting non-stop entertainment on the Rhythmboat Live Stage over two days. 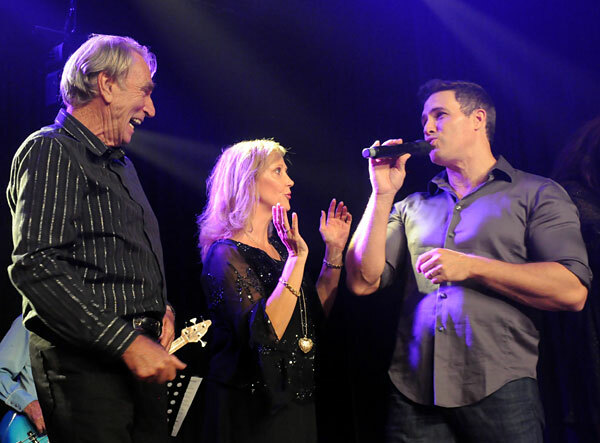 The stage will feature plenty of giveaways and performances from country music legend Frank Ifield, the NSW Police Band, Oscar Kami and Mamamia: A Tribute to ABBA. 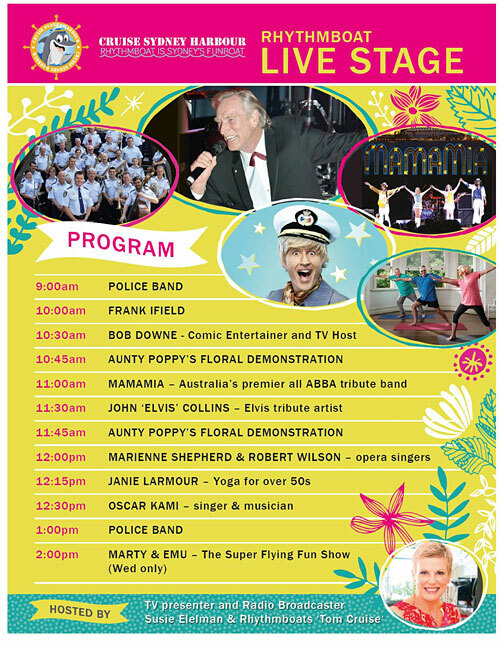 The NSW Seniors Festival is an annual fun, free event featuring over 50 exhibitors and plenty of giveaways. 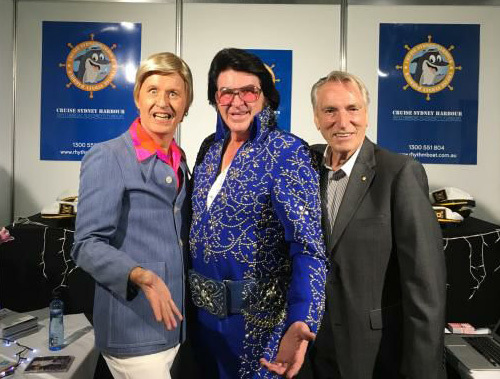 The Expo takes place alongside the Premier's Gala Concerts on Thursday 5 & Friday 6 April. CLICK HERE to see the full program and performance times! 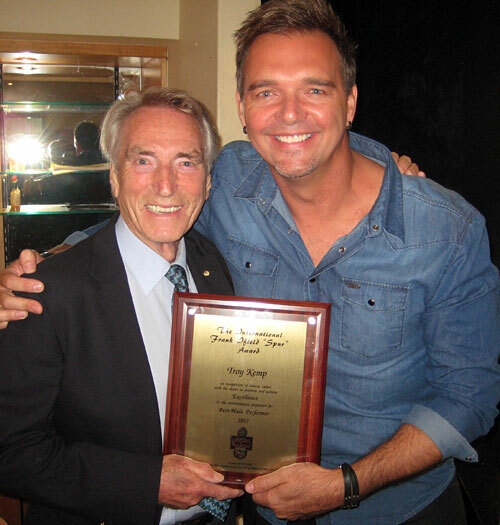 plus FRANK IFIELD presents the 2018 International Spur Award. And the winner is...BAYLOU ! ! 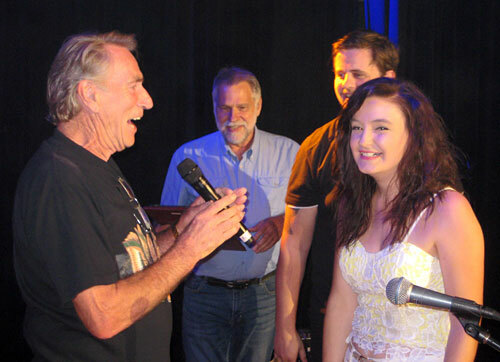 Hosted by BOB HOWE with the Hillbilly Heaven band. 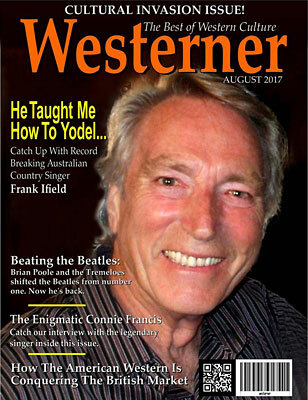 Frank Ifield is on the cover of the August issue of Westerner magazine and inside he is interviewed by Editor Nick Wale, revealing much about Frank's recording career. Below is an extract from the beginning of the article, followed by a link to download your free copy of the magazine! It's great to meet you, Frank. I'm very excited about this interview. I grew up listening to your records. Thank you! It's great to meet you, too. You're actually from Coventry, just down the road [from me], aren't you? I was born in Coventry, but I moved when I was around three years old-so I don't remember much about Coventry. We moved to London during the Blitz. That's where I first started singing-in the air raid shelters. I was around six years old, singing 'Ten Green Bottles' in front of the class. How did you start your actual recording career? 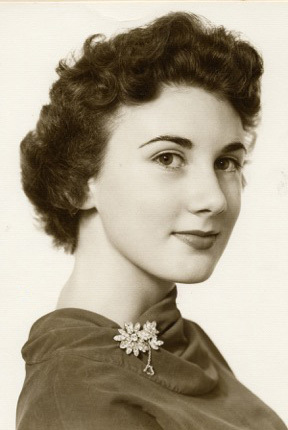 I came out to Australia in 1948. I was ten years old. I spent the next ten years in Australia. When I was thirteen, I made my first recording that was with Regal Zonophone. I was still going to school, and my dad wasn't giving me a lot of encouragement at that point as he thought showbusiness was too precarious. I pursued my dream, and what I wanted to do, and it worked. He was quite happy with it in the end. 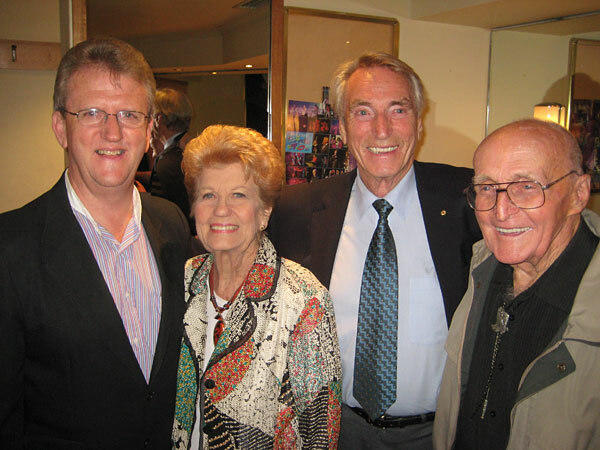 The first recording I did was Australia's Amateur Hour, on the radio, which I didn't win by the way. I came second on it. 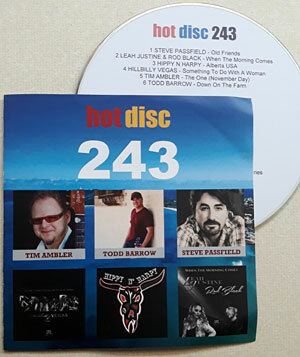 It was a bit of a downer-but the recording company heard what I did and enjoyed it and got me to record for them. So, in one sense, I won. That's right. It was strange that. 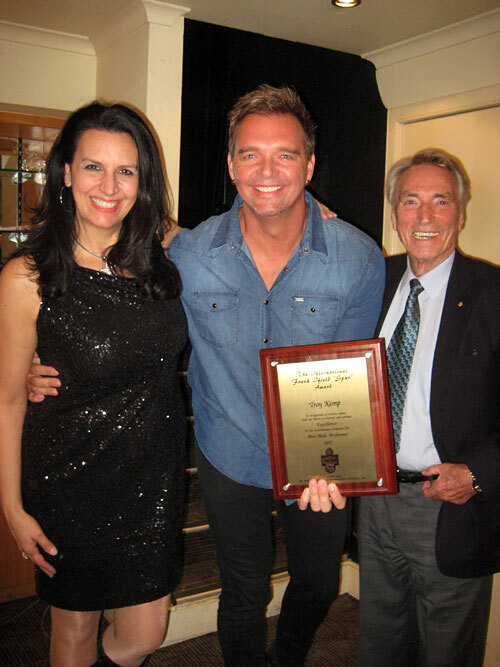 That was when I was with singer Matt Monro, 'A Song for Europe.' I remember Matt very clearly. I had a song called 'I Can't Get Enough of Your Kisses'. We were betting on each other's songs. I thought he would win and he thought mine would win-and neither of us won. Matt had a big hit with his song when it was released, and I didn't release mine as it came third. However, I found out later that my song went to number one on the sheet music charts. Later, I did it with 'Alone Too Long', which missed out too. I never won a contest in my life. To find out the answer to this great question, and an interview filled with others, you can download your copy of 'Westerner' here. 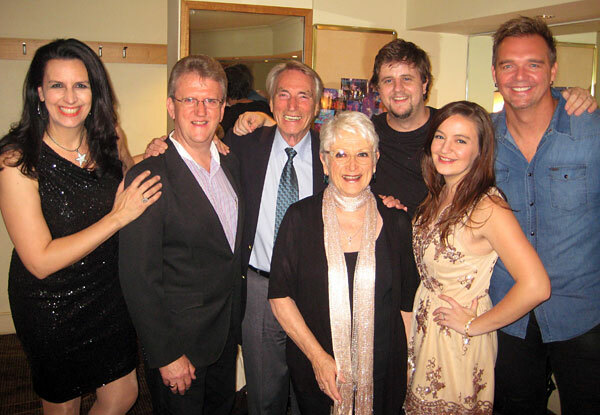 It's free and also includes interviews from singing sensation Connie Francis and 'British Invasion' star Brian Poole. 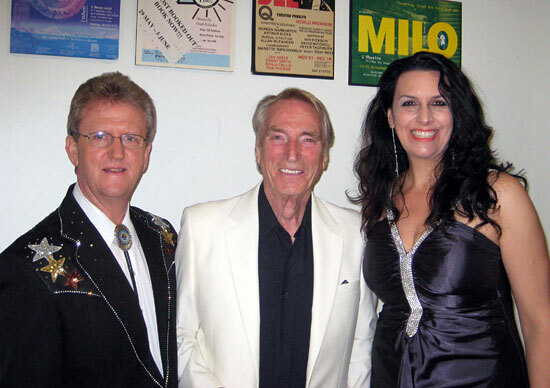 While on his recent UK tour, Frank Ifield visited Uckfield FM to be part of Paul Hazell's World Of Country. 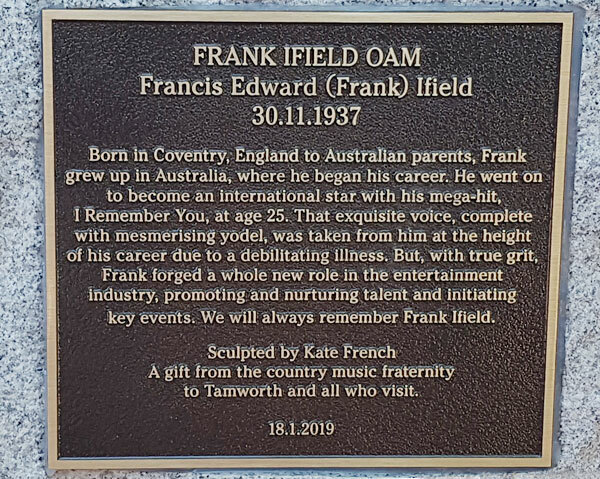 Broadcast in two parts, the theme for the shows was 'He Did It Frank's way'. 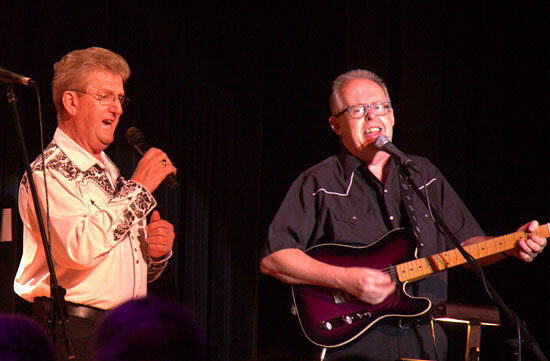 Paul and Frank chose a wide range of classic country originals to play, each being followed by Frank's cover version. 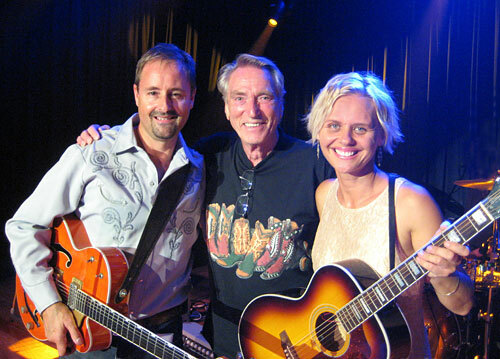 The result highlighted the originality of Frank's vocals and the musical arrangements of Norrie Paramor and others. or go straight to PART ONE or PART TWO. 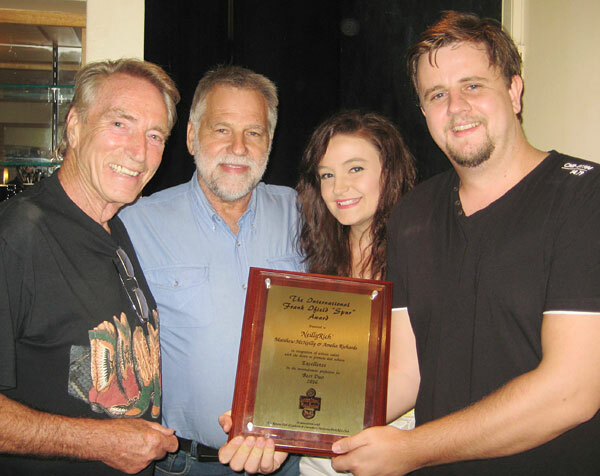 This was the 20th International Spur Award to be presented! 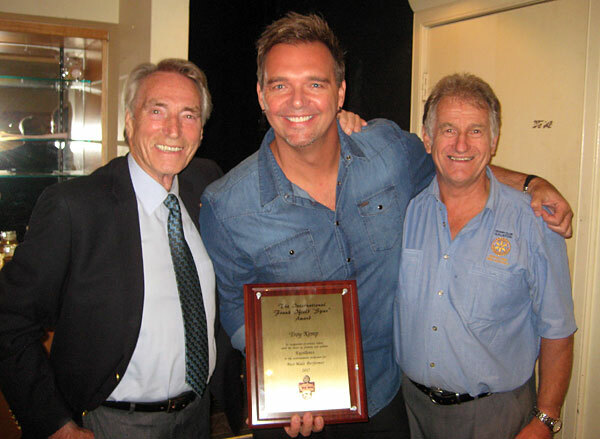 As part of his prize, Troy Kemps's recording 'Small Town Girl' has been released for airplay in the UK and Europe. In its first week it entered the country chart at #9 and has now moved from #7 up to #6. 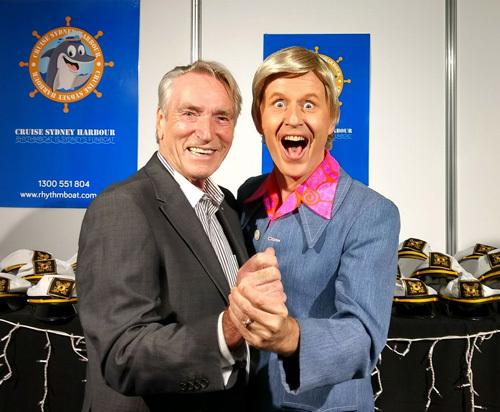 Frank performed and talked with TV & Radio Broadcaster Susie Elelman on the Rhythmboat Live Stage at the 2017 NSW Seniors Festival Expo on Tue 7 March and Wed 8 March at the Sydney International Convention Centre. 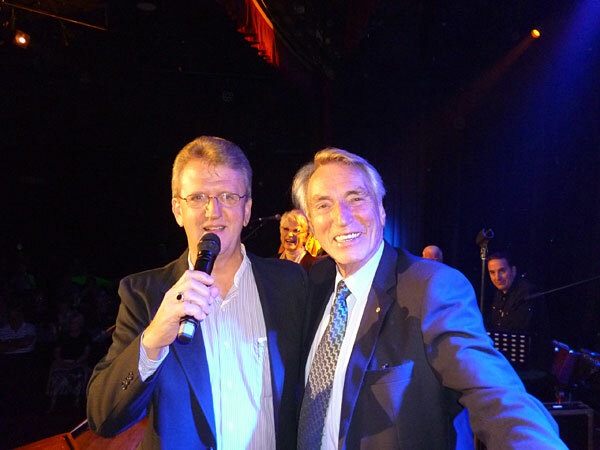 Frank Ifield was the special guest on Radio 3AW in Melbourne on the 3AW Nightline show with Philip Brady, Simon Owens and Kevin Trask. 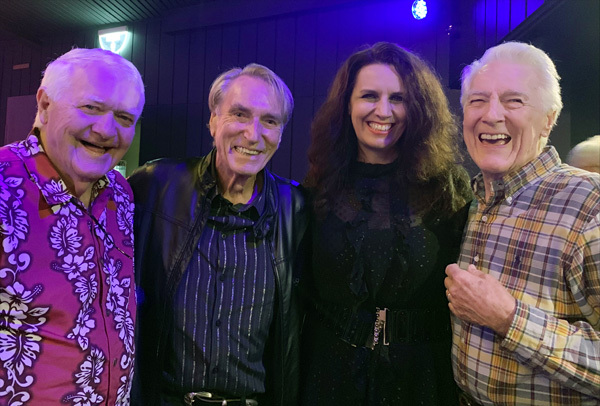 Frank celebrating his birthday in November with JIM HAYNES, MELANIE DYER, AMBER LAWRENCE and WAYNE HORSBURGH. 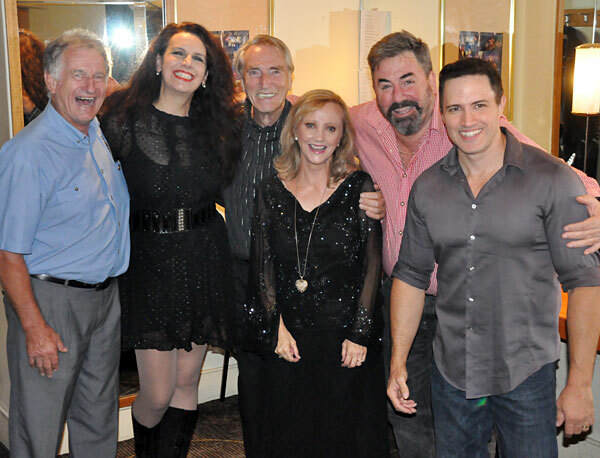 Thanks to Gaye Johnson-Weeks for the photo. 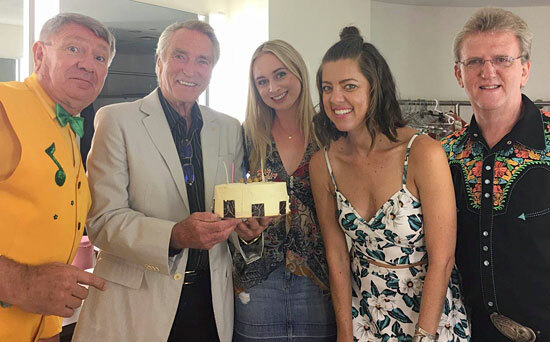 Frank was also on-hand at the December Canterbury Country show in Sydney, to help the show's producer (and Frank's Musical Director) BOB HOWE celebrate his birthday! 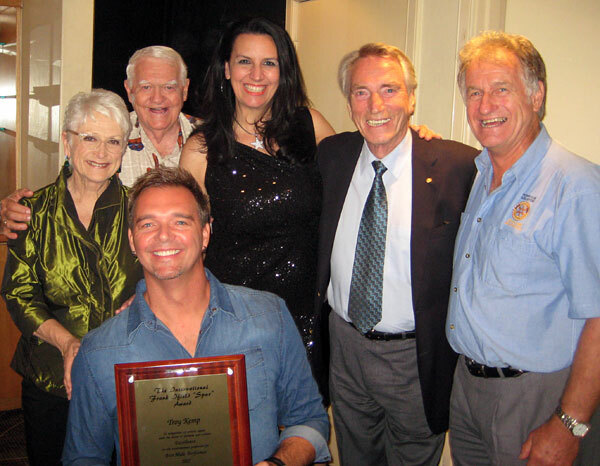 23 November 2016: Today at The Star in Sydney, ARIA (the Australian Recording Industry Association) celebrated the 30th anniversary of the ARIA Awards. 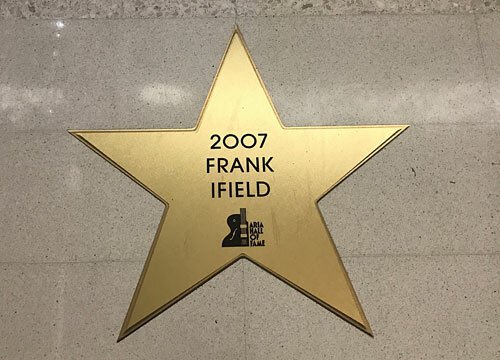 Pictured above is the plaque in ARIA Hall Of Fame Walk at The Star commemorating the 2007 induction of FRANK IFIELD into the ARIA Hall Of Fame. Thanks to Robert Rigby for the photo. Thanks to Todd who sent in these two photos of his Mother. 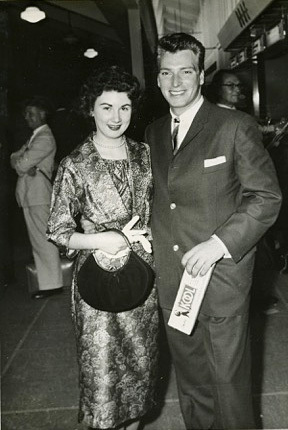 Frank remembers Lynette (below left) as being a fine singer and the photo below right was taken at the airport on the 4th November 1959, just before Frank boarded the inaugural Comet flight to London. He also recalls that their mutual friend 'Laine Goddard "... wrote my first major hit here in Australia. It was a done to a slow rock and roll beat and called 'TRUE', based on the Overture from Swan Lake by some bloke called Tchaikovsky and arranged by Australia's legendary Jazz king Don Burrows". A blast from the past! at the MO Awards 40th Anniversary show. Australia's own 60s pop superstar, Frank Ifield, returned to the stage for two very special Mother's Day shows where he told his story and performed some of his hit songs for the first time in 30 years. 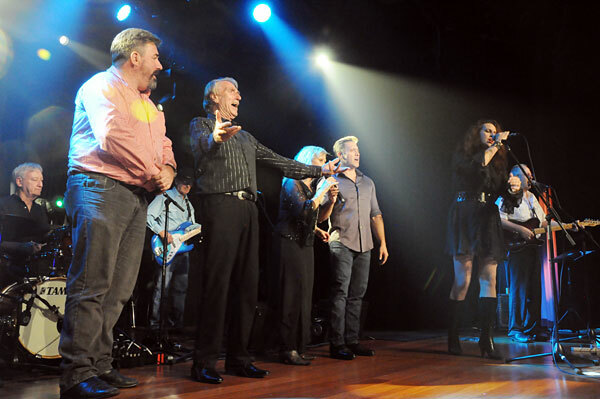 Brodie Miles (as Young Frank), Wayne Horsburgh, Frank, Nicki Gillis and the band. 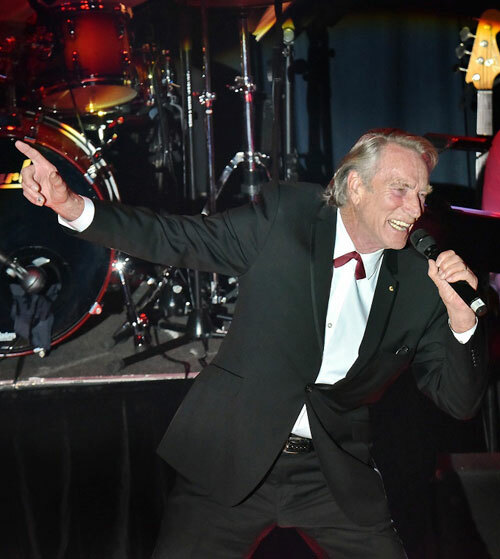 During this two-hour extravaganza where he told stories of his time at the top of the charts, he performed half a dozen of his hit songs and introduced some guest artists who sang other songs from the era when pop was grand. 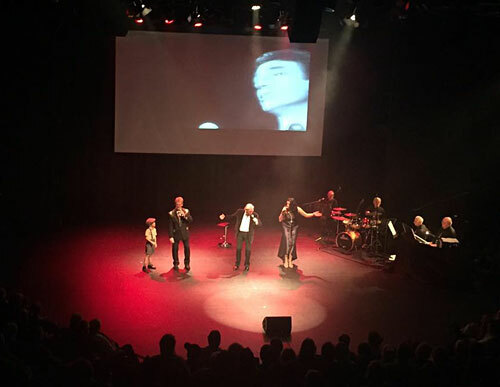 This new show added the performance of his hit songs and lived up to its promise of being a delightful journey down memory lane for all ages. 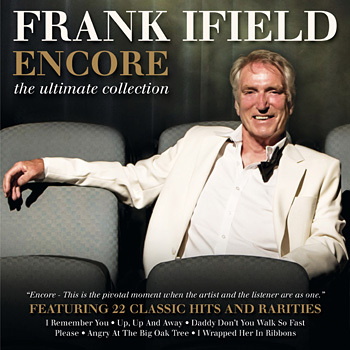 Frank Ifield is in the top ten for UK musicians who have spent longest at number one in the charts. 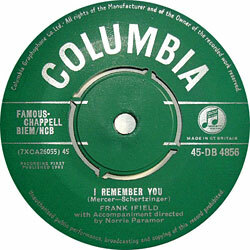 Frank spent 17 weeks at number one in the sixties. This places him tenth in the list, just behind The Rolling Stones on 18 weeks. 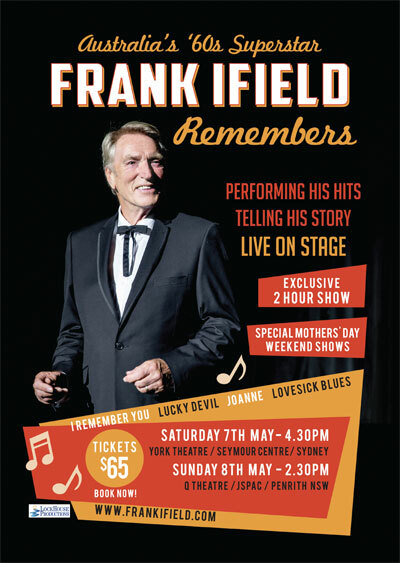 Frank Ifield had hits in 1962 with I Remember You and The Wayward Wind as well as in 1963 with Lovesick Blues and Confessin' (That I Love You). Source: The Coventry Telegraph, Oct 2014. 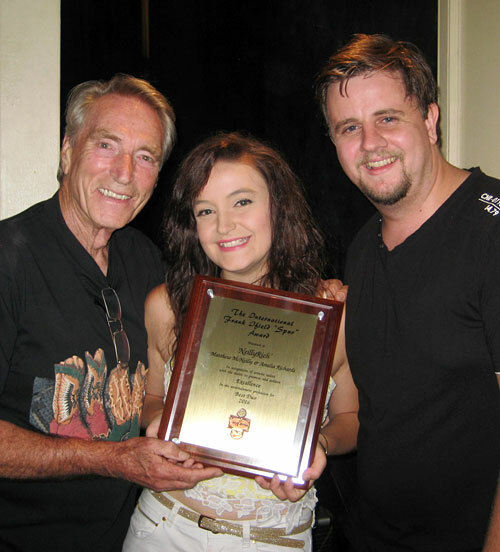 As part of their prize, NeillyRich's recording 'Sure Feels Good To Me' has been released for airplay in the UK and Europe. In its first week it was the highest new entry on the country chart at #10, leapt to #5 in its second week and rose to #2. It continued to stay in the Top 20 for record number of weeks.